Administrator Plus is an Integrated new generation hospital management software which converges the latest technology and the user administrative process to manage work process within the hospital. The solution is designed for multi-specialty hospitals to cover a wide range of hospital administration and management processes. The solution is an integrated client server application which uses Microsoft technologies as Front End and Flexible back end (like Oracle, SQL, etc). Accurate Info Solution was founded in 1995 and has planned, built and managed application softwares to enable implementation of business strategies effectively and efficiently. The company provides end to end business consulting, application development & Integration (ADI) and application development & management (ADM). Administrator Plus (AP) is a fully-integrated, Hospital Information System Solution. •AP gives a total integration of order entry systems, administrative system, and departmental subsystems within a hospital. AP allows for scalability, reliability, efficient data processing, quick decision making, reduced maintenance and overheads. The data is stored in a single database providing real time data across applications throughout the hospital. Since all the data is stored centrally, it can be viewed simultaneously from multiple terminals giving all departments’ access to timely, up-to-date patient information. Administrator Plus offers a foolproof data security without user intervention to archive data. AP is a comprehensive information system dealing with all aspects of information processing in a hospital. This encompasses human (and paper-based) information processing as well as data processing machines. As an area of Medical Informatics the aim of Admin Plus is to achieve the best possible support of patient care and administration by electronic data processing. Q. How to Setup Sql server and setup AP software and link them? Q. How do I remove the Log file (*.ldf) from my SQL Database? Q. How to enable VAT in AP? Q. How to Change serial no / counter at financial year end? It’s end of financial year 31 march of every year in India and 31 Dec in some other countries. Some people believe that Bill number / Receipt /OPD no /IPD no should be restart with 1 though technically from software point of view it doesn’t matter. This document will demonstrate how to change series. Run Administrator Plus Go to Utilities >> Extra Option Choose option no. 11 in Extra option It will ask for few confirmations Press Yes It will show value of all counters (Serial No) You can view all by scroll down. Click on Change button where you want to change Choose the transaction type eg IPD BILL NO. , RECEIPT NO etc. Examples of few Important No to be changed OPD Regn NO. ( Generated at OPD regd no) IPD NO. (Generated at IPD regd no) OPD Card no. (Generated while creating OPD Card) OPD Bill no. (Generated during OPD Bill no) Receipt no (Generated at time of payment collection OPD/IPD) Credit Note No. Few things to remember while changing no It should not Create Duplicate receipt no. suppose existing Receipt no is R0023456 so you should not start series with R00000 it will create duplicate you should change prefix like RM00000 or R13/000000. There should be sufficent amount of 0 and no cannot be more than 10 digits . Suppose you keep series at R13001 it can only create 1000 receipts upto R13999. So best practice is to use 2or 3 prefix like R13 then 0000000 so no is R130000000 Make no as RN0000000 not RN0000001 as it will generate RN0000002 as a first no. so number should be start with preceeding no what we desirea at first no. Patient no and OPD Bill no/IPD Billno can accept maximum 8 digits and rest 10 digits. Q. 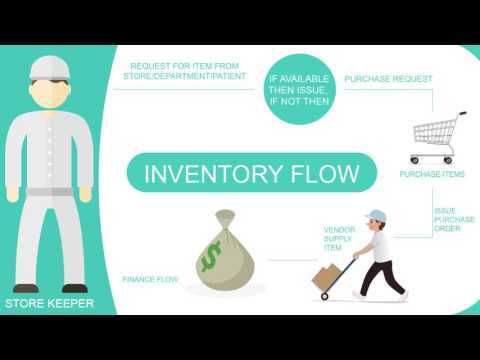 How to change Serial No for Financial/ Inventory Module (ECAPS) ?